Launched to cater for the Swedish market back in 2008, Mr Green has since come a long way and as of 2012, they have set out to establish themselves as one of the leading casino rooms on the web. By introducing the concept of green gaming, the casino has developed a substantial player base that has the courtesy of enjoying a premium gaming experience. Having deployed six different software developers, Mr Green houses over 300 realistic games, progressive jackpot included. 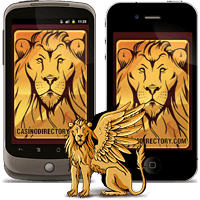 Mobile casino and live dealer tables seriously enhance the overall experience, whilst safe banking transactions and high-quality customer support are some other things you will quickly learn to appreciate. While Evolution Gaming stands behind their live casino, BetSoft, NetEnt and three other software platforms have been deployed to ensure their customers have access to an excellent gaming portfolio. The best thing here is that full suite is available in flash version that works on both Windows and Mac. An extensive range of over 300 popular games includes BetSoft's 3D video slots characterized by cinematic graphics, NetEnt's portfolio of stunning slot machines as well as games from IGT, Quickfire and Bally Technologies. Card and Table games, Video Poker, Jackpot games and titles based on popular TV shows are also on offer. Due to an amazing selection of more than 240 slot machines, Mr Green is on the road to become one of the favourite meeting grounds for slot lovers everywhere. Whether you enjoy playing old-style three-reel fruit machines, video slots packed with extra features, progressive jackpot games or stunning 3D slots, you will be well looked after at this particular casino room. Live Blackjack and Exclusive Blackjack are available in the live casino, but rest assured that the regular website features a fair share of Blackjack variants. Blackjack Professional VIP, 21 Burn, Pirate 21 and Double Exposure are the most popular among the casino gamers, with table limits ranging from $1 to $500. Roulette is another casino classic that occupies an important place on the website, where Triple Bonus Spin, 3 Wheel Roulette and Expert Roulette will leave you impressed. If you are searching for a dynamic gaming experience, make sure to try Live Roulette, Exclusive Live Roulette, VIP Live Roulette and Live Immersive Roulette. Mr Green houses no less than 23 Video Poker titles and that is the advantage of running on multiple software platforms. You definitely need to test jackpot games All American VP, Caribbean Stud and Caribbean Stud Pro, but Texas Hold'em, Heads Up Hold'em & Fold'em and Oasis Poker are worth the mention as well. First time depositors are entitled to a 100% bonus up to €150, while they also receive 10 Free Spins on the Jack and the Beanstalk video slot. The casino occasionally runs player promotions awarding free spins or bonus cash, but these are not as common as one would expect. Mr Green accepts deposits via Visa, Maestro, Master Card, Neteller, Skrill, ClickandBuy, Paysafecard and Bank Wire, while Skrill, Bank Wire and Entropay can be used for withdrawals, which come free of charge. Minimum cashout limit is €30. The customer service is available from 7am to 1am CET and they can be reached via email, phone or contact form available on their website. FAQ section can also prove helpful at times. Mr Green utilises latest security protocols to safeguard your confidential information, so you can rest assured your money is safe with them. Mr Green is definitely not your average online casino room, and the concept of green gaming is not the only reason you should join. The gaming portfolio of over 300 titles where BetSoft and NetEnt games take the centre stage is likely to serve as en extra incentive, whereas a plethora of live dealer tables and mobile casino should be enough to seal the deal. If you are still not convinced, you can always test their flash casino while playing for fun before you decide to switch to real money play. How do I make a deposit at Mr. Green? Mr Green accepts the following deposit methods: Visa, Master Card, Neteller, Skrill, ClickandBuy, Paysafecard and Bank Transfer. Are there any charges involved with processing withdrawals? No. All cashouts at Mr Green are processed completely free of charge. How many progressive jackpot games are there in the casino? There are currently 24 casino games equipped with progressive jackpots, but bear in mind that some of those are linked to more than one jackpot. Mr Green customers have a chance to win one of 32 progressive jackpots, with Mega Fortune Mega Jackpot arguably the most popular. Which games are available in the Live Casino? Mr Green offers a great selection of nine games played at the live dealer tables and these include Live Roulette, Live Blackjack, Live Baccarat, Live Casino Hold'em, Exclusive Live Roulette, Exclusive Live Blackjack, Live VIP Roulette, Live Immersive Roulette and Live Three Card Poker.